Sometimes unravelling is part of the process. Last April, I used an assortment of sock yarn scraps to knit a tank top. As much as I love the way the colors came together into stripes, I never fell in love with the top itself. The few times I wore it, I found myself fussing with the drape of the cowl neck and how the shirt rested on my shoulders. After taking apart the ill-fitting pullover that I knit in January, I guess I was on a roll. My next move was taking apart that tank top. As I’ve been reknitting the unraveled yarn from January, I’ve kept the tank top scraps nearby. I have a few ideas floating around, and those thoughts solidify a bit more each time I glance over at that small pile of yarn. I’m not sure yet what the yarn will become, but I’m getting there. Other times, it’s all about going back to basics. While I was painstakingly knitting my way through way too many furniture socks, my mind turned to spinning. That led me to discover Spunky Eclectic’s Let Love In. This Colorway for a Cause reminds me of yarn that I spun in 2011 from an off-white Shropshire fleece and a small bag of bright multicolored mohair locks. I named it Confetti because of the way the random spots of color stood out as they were intertwined with the off-white. Unfortunately, both fibers were already a little the worse for wear when they were given to me. 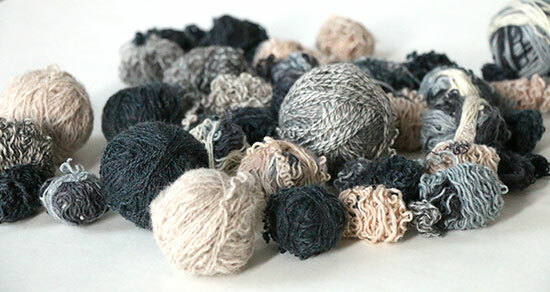 The resulting yarn was rough and lumpy; I turned all of it into dryer balls. This colorway, however, is (as of this writing) available in nine fibers — any one of which is surely better quality than that fleece. 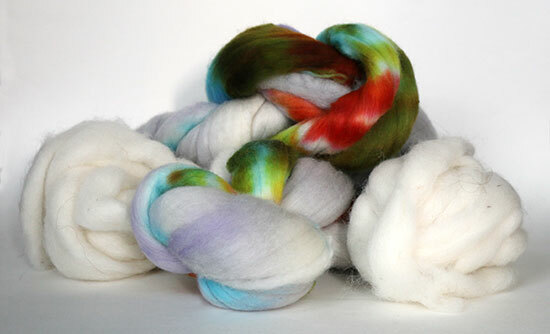 I ordered eight ounces of Targhee, and can’t wait to start spinning. 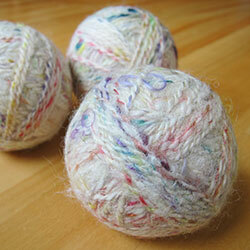 I have four ounces of white alpaca roving that I think I’ll add to the mix to play up the confetti look. I know the dyed areas of the Targhee won’t pop the same way the shiny mohair locks did against the Shropshire wool, but the overall look should still be cheery and playful. It may look like I took a few steps back this week, but that’s only because sometimes I need room for a running start. I’m excited to see what these next projects become.